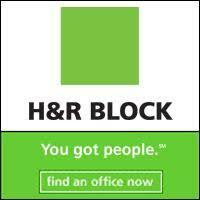 Seriously, I've just had the NICEST experience at H&R Block doing my 2007 taxes. Last Tuesday I blew hysterically into Block's midtown office, off Ponce, with not quite a shopping bag of paper, but close. This being yet another annus horribilus, and me being a total math phobe who trembles at the word audit, I knew I needed help. I didn't get my act together this year. No doubt there would be tricky post-divorce issues, but no way was I going to use my old cowboy accountant up in New York (let's call him "Kenny") who's done my taxes since my advertising days and who kept on doing 'em for me and Mex. See Kenny, like Mex, is off the Nina bus. He also hit 50 and dumped his wife of 20+ years. So I have unceremoniously dumped Kenny after 30. I don't have "people" in Atlanta unless you count my divorce lawyer and the very wonderful forensic accountant who ran the numbers on the day of my mediation (by the way, feel free to contact me if you ever need someone terrific for that) but she doesn't do tax filing. I have selected electricians, exterminators and plumbers out of the yellow pages, but picking an accountant out of the phonebook? I dunno, it just didn't feel good. But holy crap, it was already April 8th and I was too embarrassed to ask a friend for a referral. Anyway, what kind of accountant would take me seriously a week before the filing deadline except the Yellow Pages kind...or the H&R Block kind. I needed backup, I needed someone who could add subtract and multiply. I needed People. Lemme tell you, at Block, I got great people. First I got the lovely, unflappable Gina, who sat down and calmly got me rolling. We were doing fine until we came to something funky -- the tiny royalties check for a book I wrote edited with Mex. So she brought in reinforcements in the form of Jennifer, a 10 year Block veteran who told me I was NOT the most disorganized person she'd seen, not by a mile, and who guided me through the rest of the return. Jennifer sweetly instructed Gina to sit down and watch how to do the royalties thing. Then we came to some questions about mortgage deductions, and right on the spot Jennifer called WaMu for me and got all the annual payment figures. She deftly punched in all the numbers and ran my return two ways to see what would happen if we did "A" versus "B" . In the end, she left me with little list of things to document and I made a follow-up appointment for Monday, April 14th. Between Gina and Jennifer, I was out in 40 minutes. And I was looking at quite a nice refund. Cut to Wednesday morning. I got a call at work from an H&R Block representative who wanted to know all about my H&R Block experience. I told her it was delightful and that it actually exceeded my expectations. I told her it wasn't even over yet ... I was going back to finish the day before filing deadline. Yesterday I sat down with Jennifer and completed my return. I used my coupon and got $20 off...nice. I had the return electronically filed, and walked out with everything in a neat and tidy envelope.